Safely handle this precarious driving situation. For many drivers, the idea of blowing a tire while driving is pretty nerve-wracking, and for good reason. If this situation is handled incorrectly, you could lose control of your vehicle and get into a major traffic accident. Should this ever happen to you, it’s important that you remain calm and take the following steps. When you blow a tire while driving, there’s a chance that your car will swerve and you will lose control of your vehicle. This is why it’s important to keep a steady hold on your steering wheel, especially if you feel the tell-tale signs of a popped tire. Keeping a firm grip on the wheel will ensure that the car stays under control and in your lane. When you blow a tire, your first instinct may be to slam on your brakes. However, doing so could cause your car to skid out of your control. Rather than attempting to slow down this way, you should do so slowly by simply removing your foot from the gas pedal. As your car gradually reduces in speed, steer it over to the side of the road. Once your car slows to about 20 miles per hour, you are safe to apply your brakes. At this point, you should pull completely off the road and come to a stop. Shift your car into park and apply your parking brake. Before exiting your car to assess the damage, make sure you switch on your hazard lights. This will indicate that you are experiencing car trouble and will warn other drivers to be cautious as they pass by. 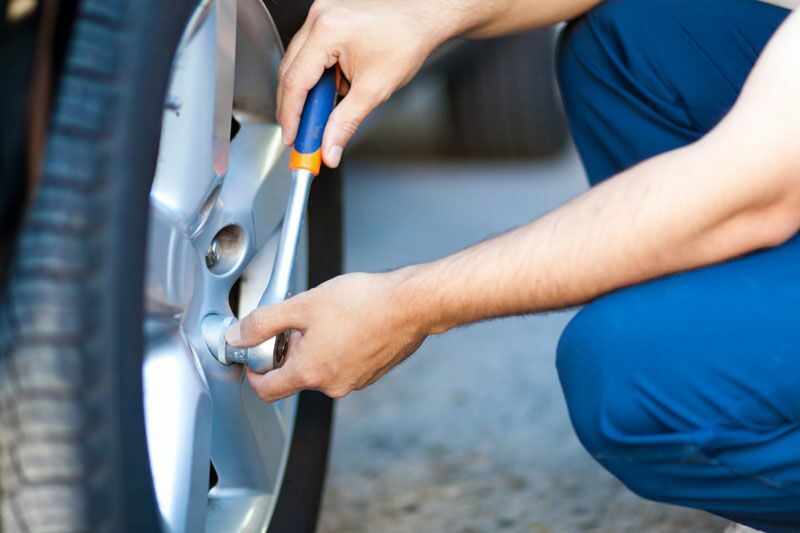 Finally, you can take the necessary steps to repair or replace your damaged tire. If you do not feel safe or do not know how to take care of this task, call roadside assistance for help. This is what you should do to safely handle a popped tire while you’re driving. Remember, another important way to stay safe on the road is by having the proper auto insurance protections in place. For assistance with all your car coverage needs, contact the team at Club Agency Insurance Brokerage in Garden City, New York today.